Check out the limited edition Hard Rock KISS Signature Series t-shirt available now in support of City of Hope. 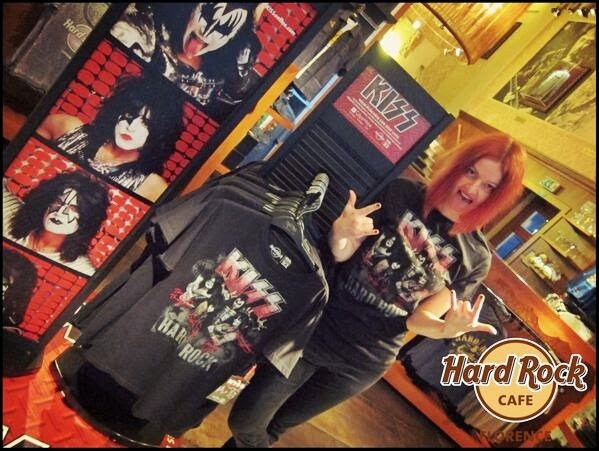 Hard Rock Florence: "The @KISSOnline Sig.Series #Tshirt is now in our #Rock #Shop. C'mon is a limited edition! @cityofhope @KISSopolis"
Your purchase of this shirt supports City of Hope's efforts to conquer cancer, diabetes, HIV/Aids, and other life threatening diseases. 15% of the retail price will help City of Hope shorten the time it takes to get from bold innovative ideas to powerful medical treatments.